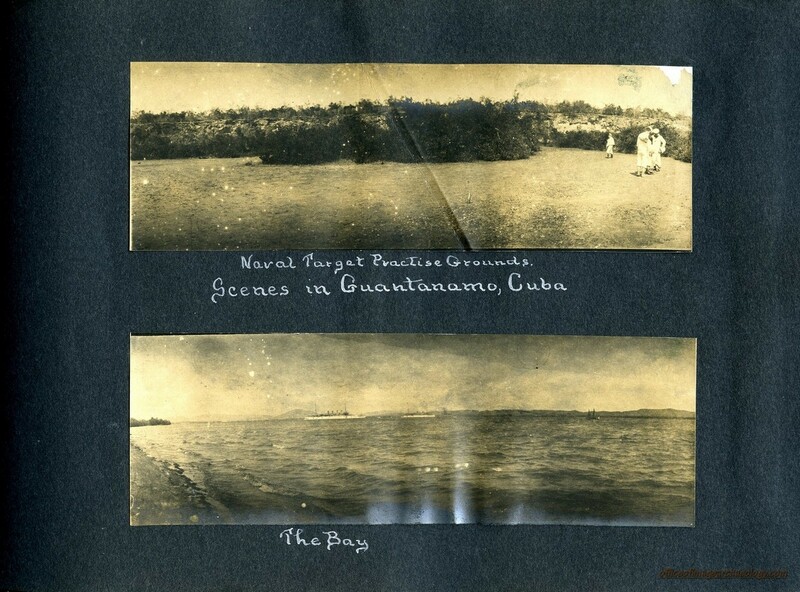 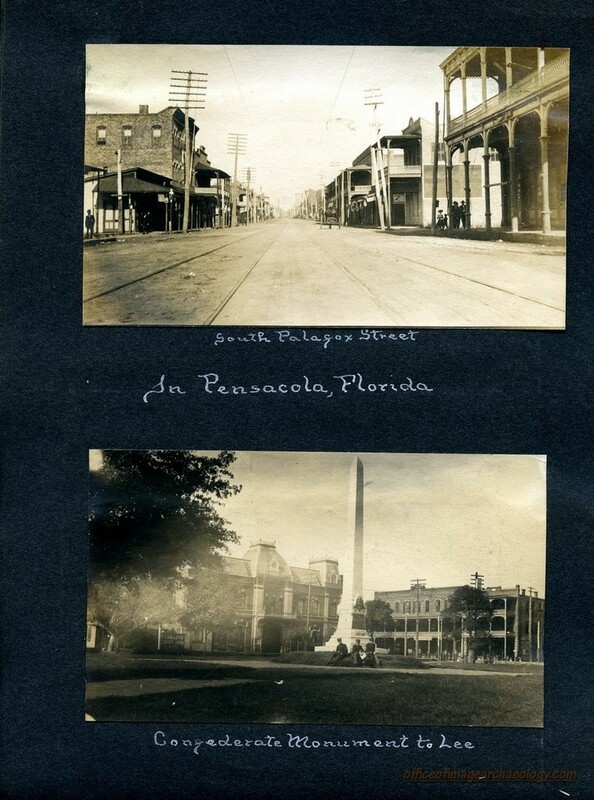 THIS IS ONE OF THOSE FEW ALBUMS THAT TRULY TELLS A STORY IN BOTH PHOTOS AND DESCRIPTIONS. 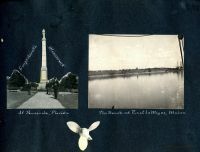 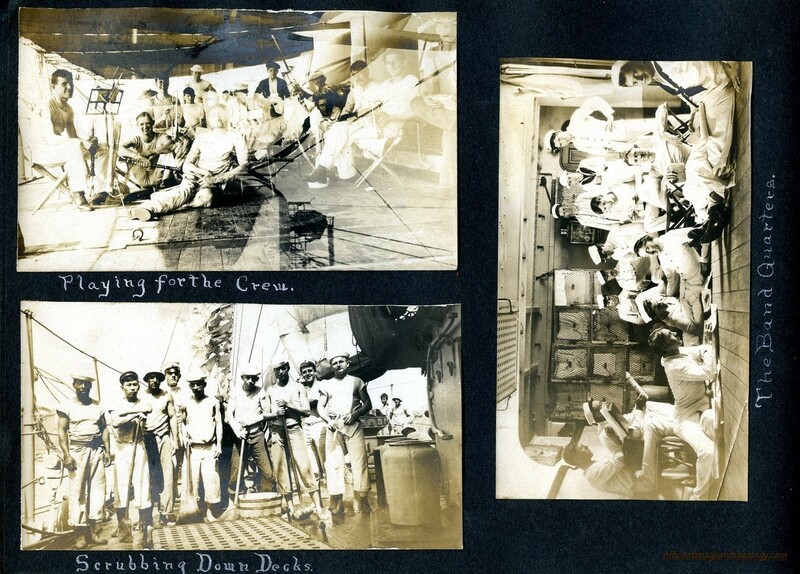 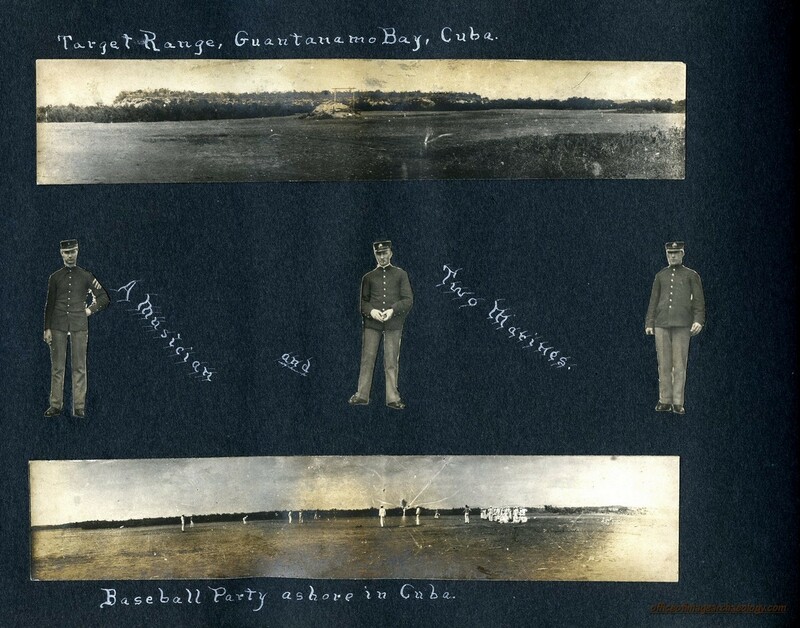 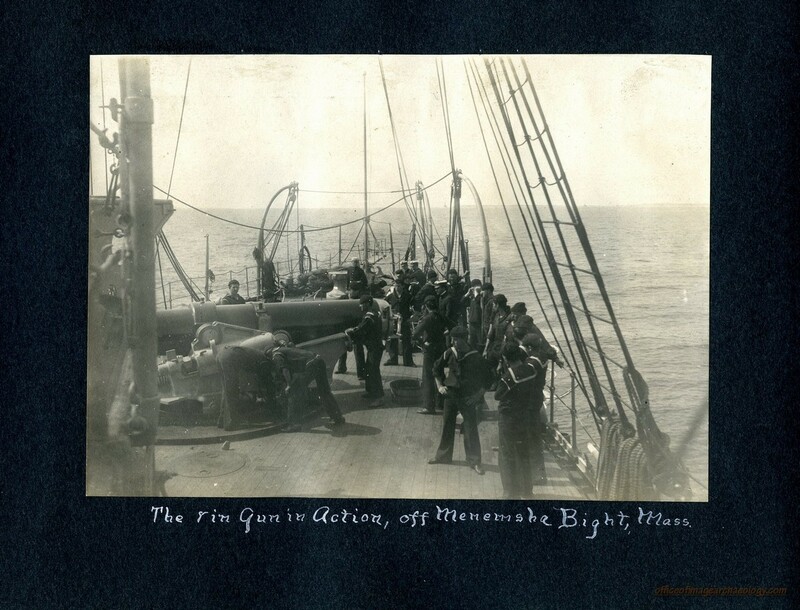 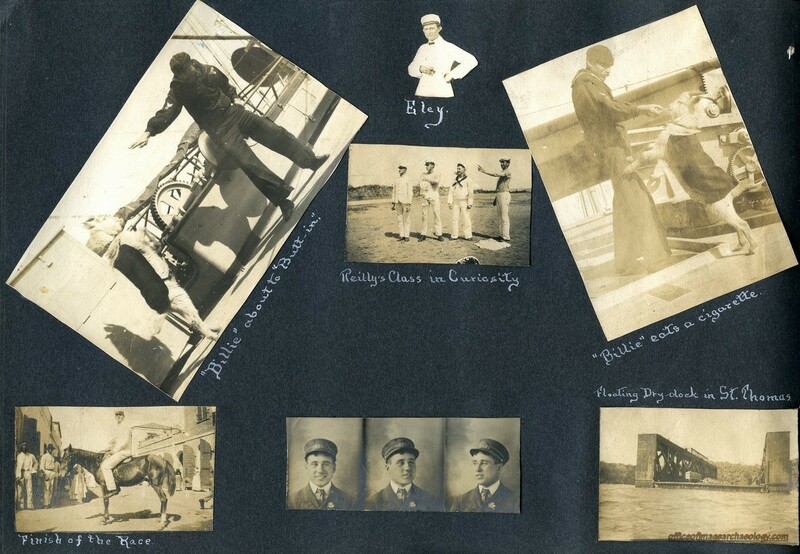 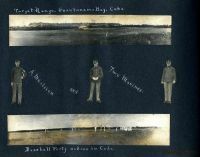 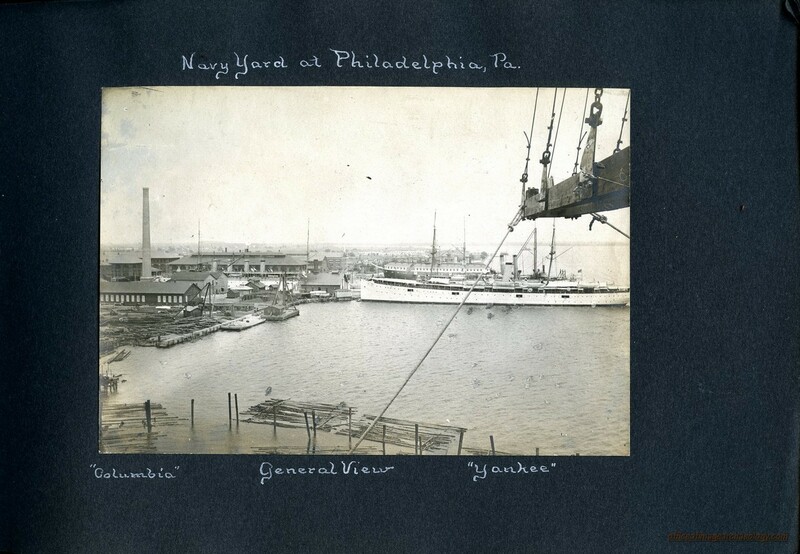 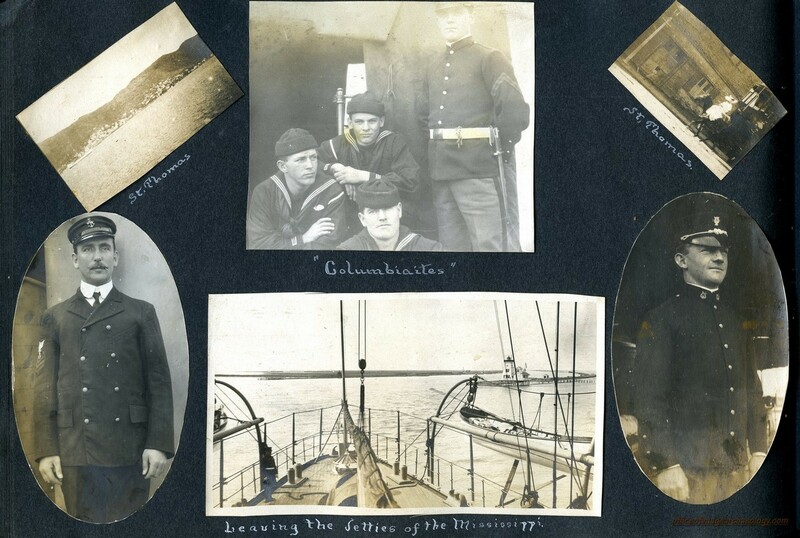 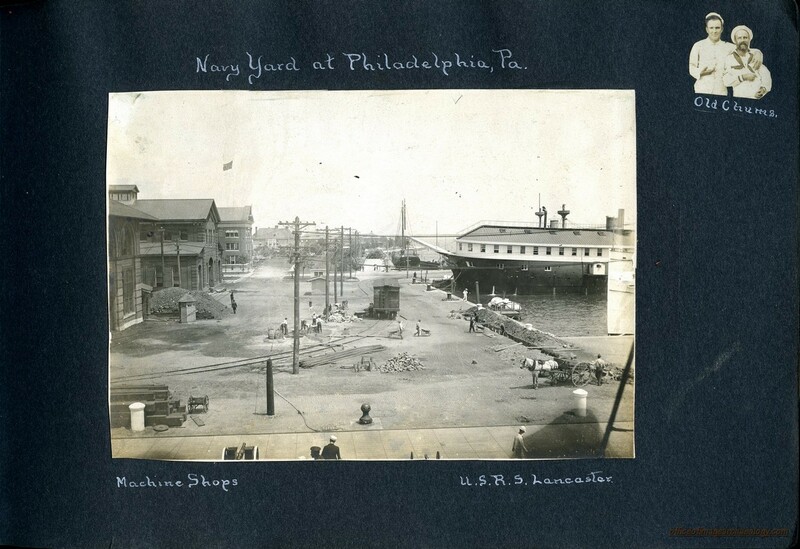 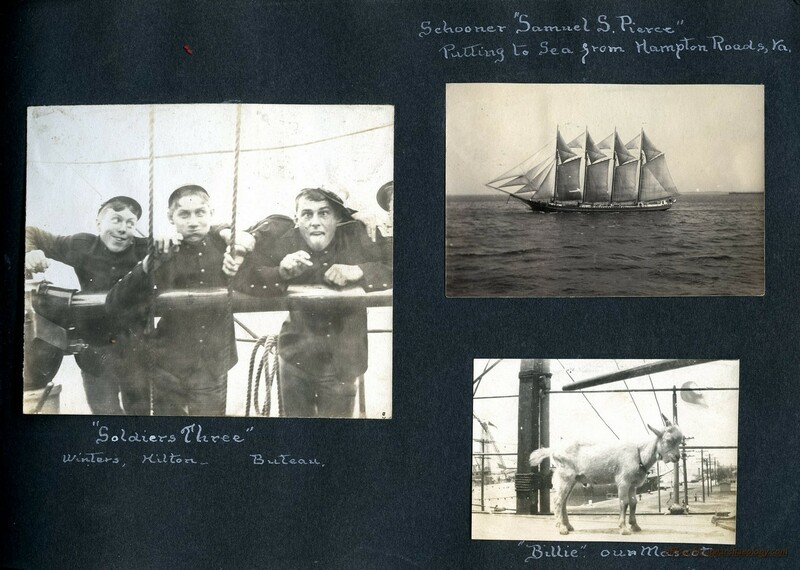 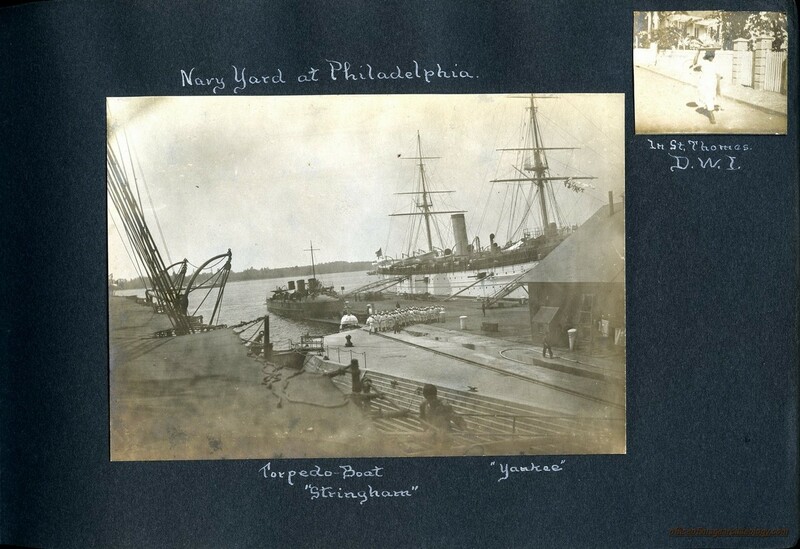 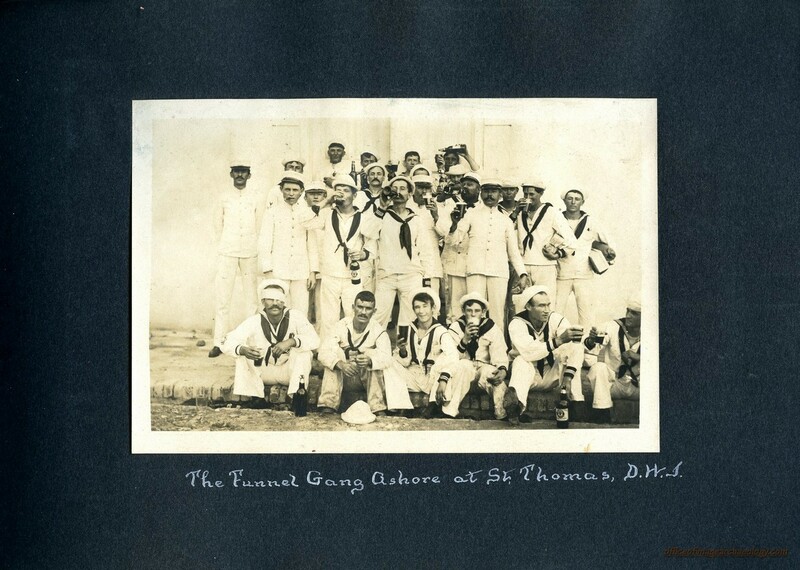 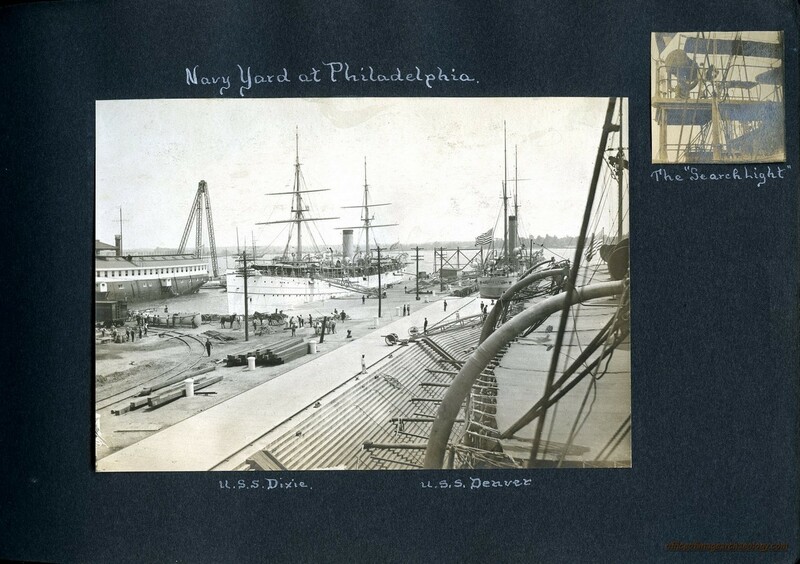 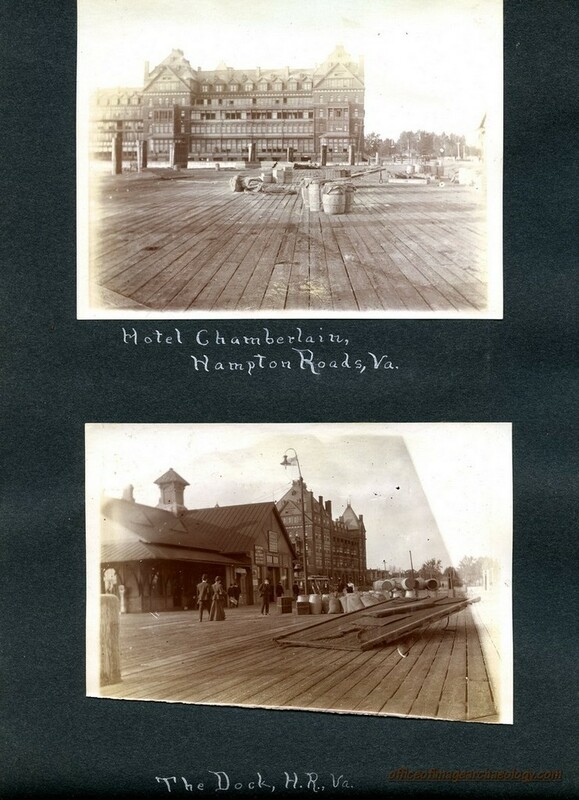 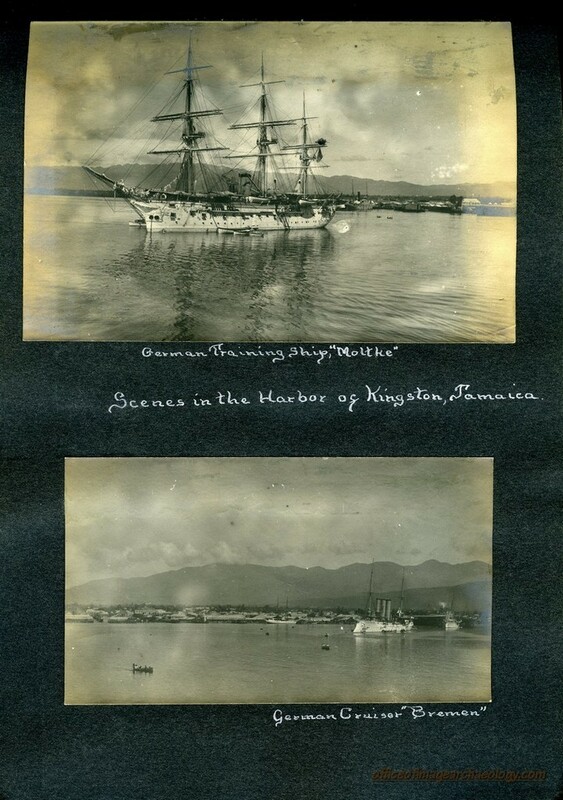 PUT TOGETHER BY SAILOR MUSICIAN SECOND CLASS NATHANIEL FICHTELBERG IN 1904 AND 05, HE DOCUMENTS SEVERAL VERY HISTORIC OCCASIONS THESE IMAGES. 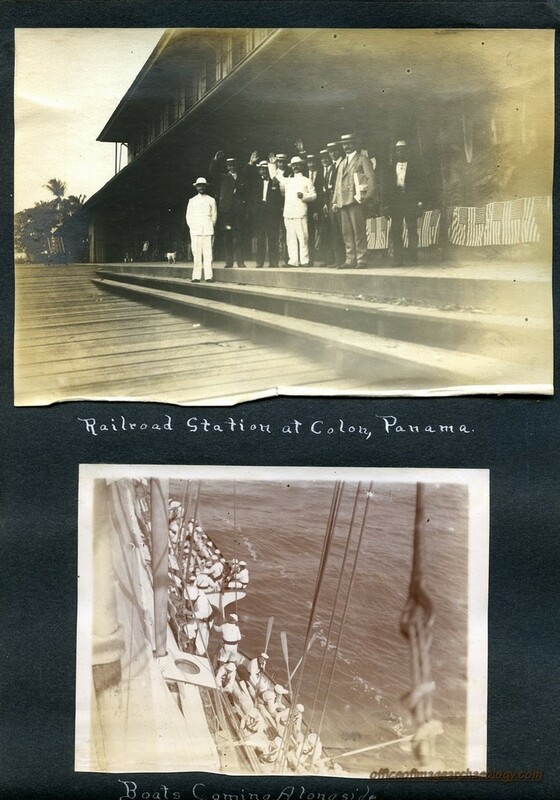 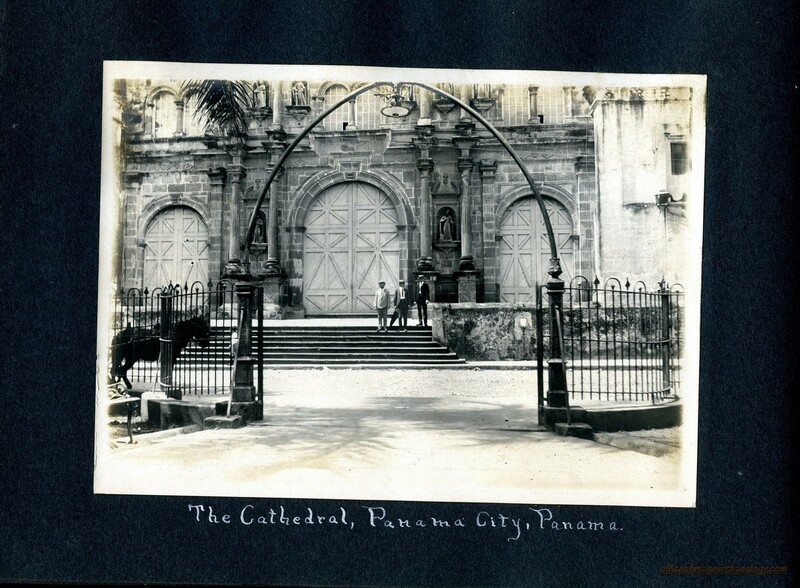 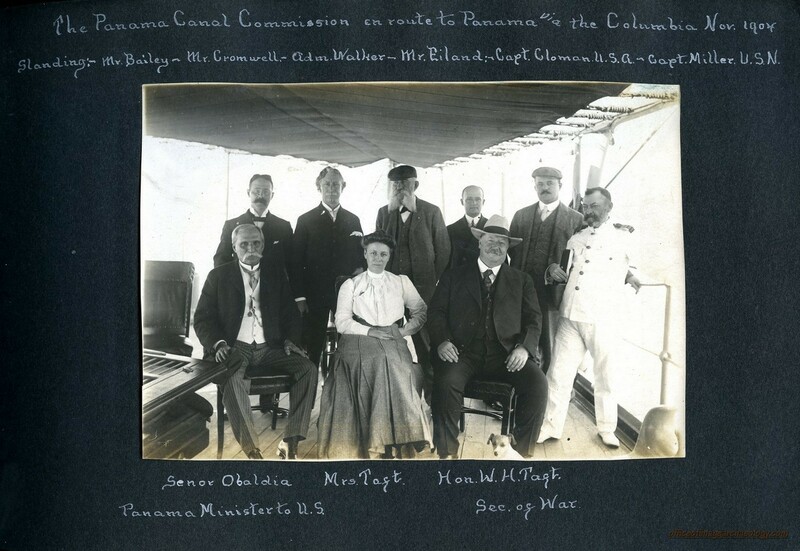 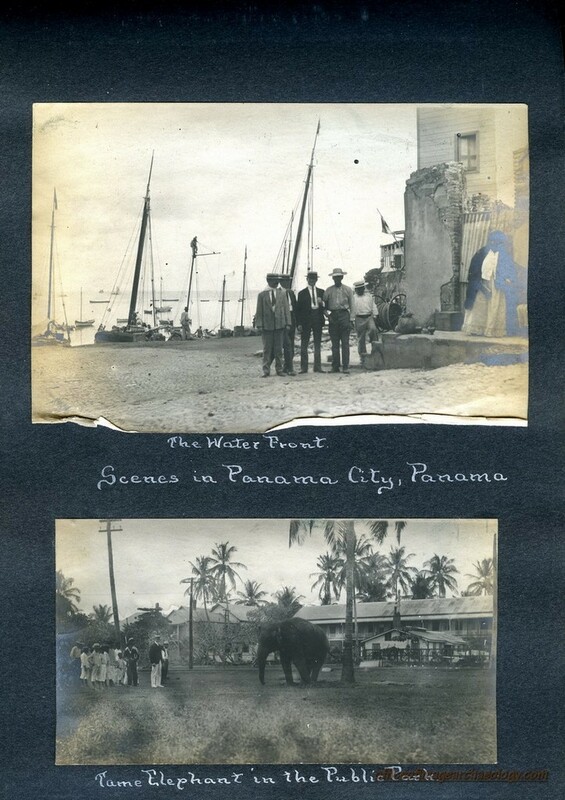 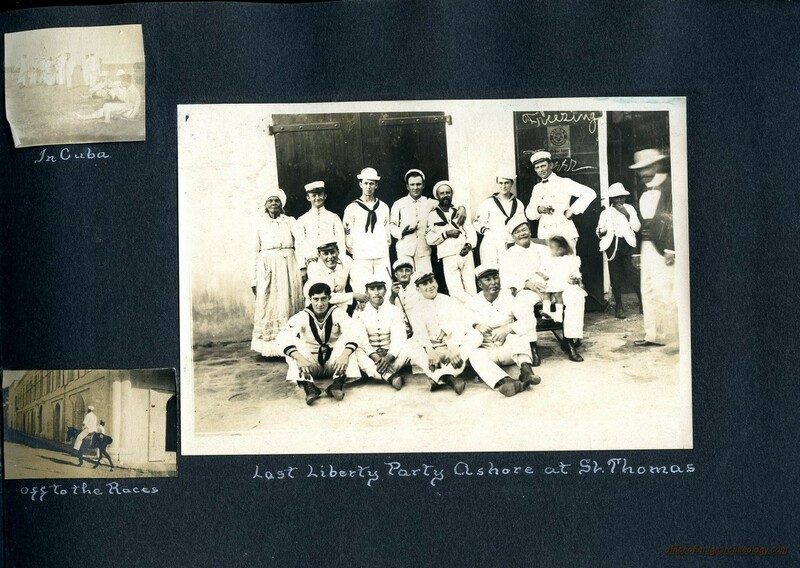 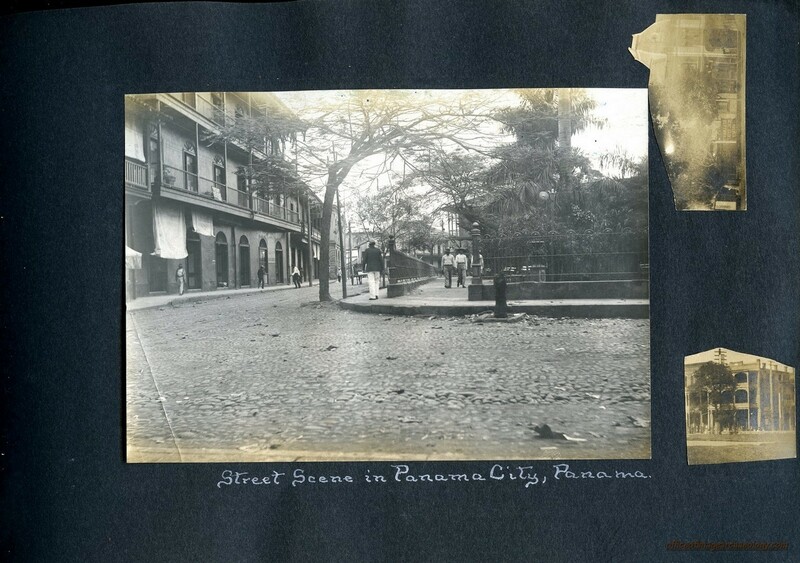 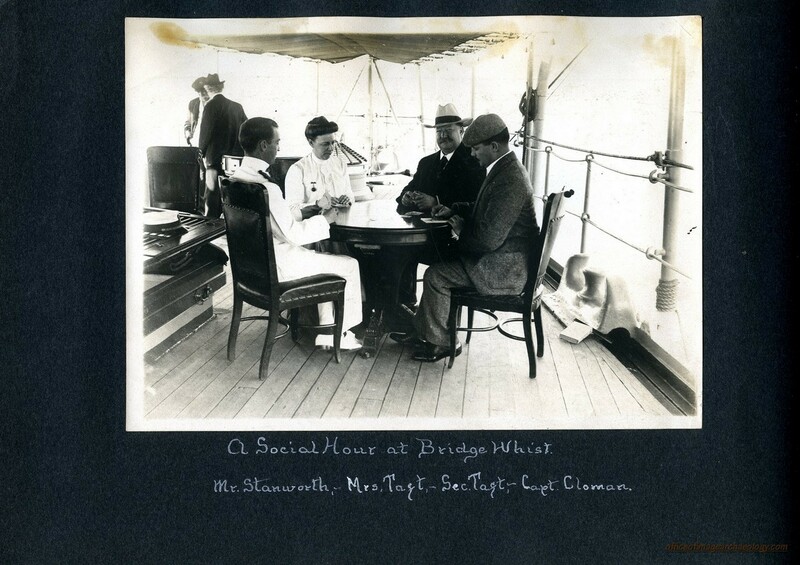 SECRETARY OF WAR TAFT AND HIS WIFE MAKE A JOURNEY TO PANAMA WHERE THE SOON TO BE PRESIDENT IS PART OF THE PANAMA CANAL COMMISSION IN 1904. 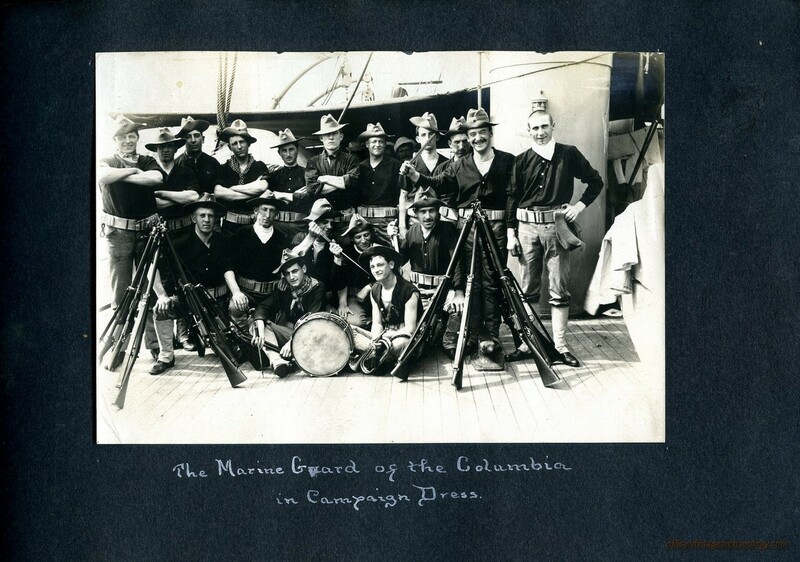 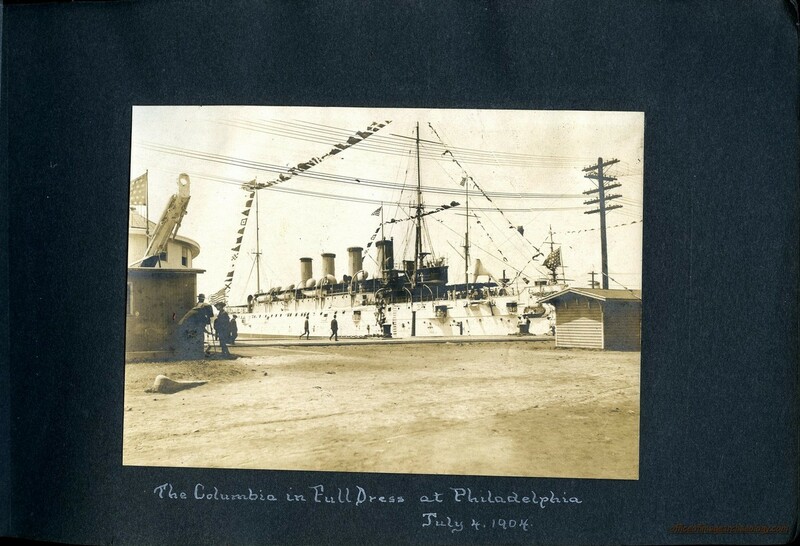 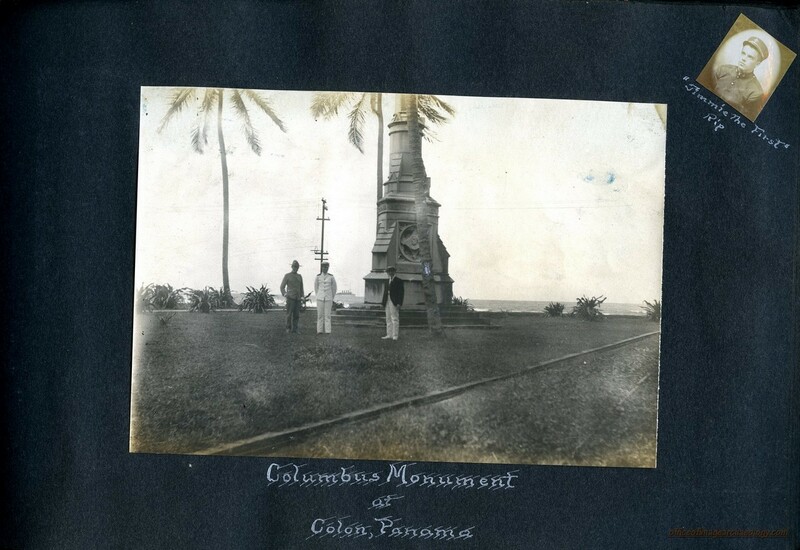 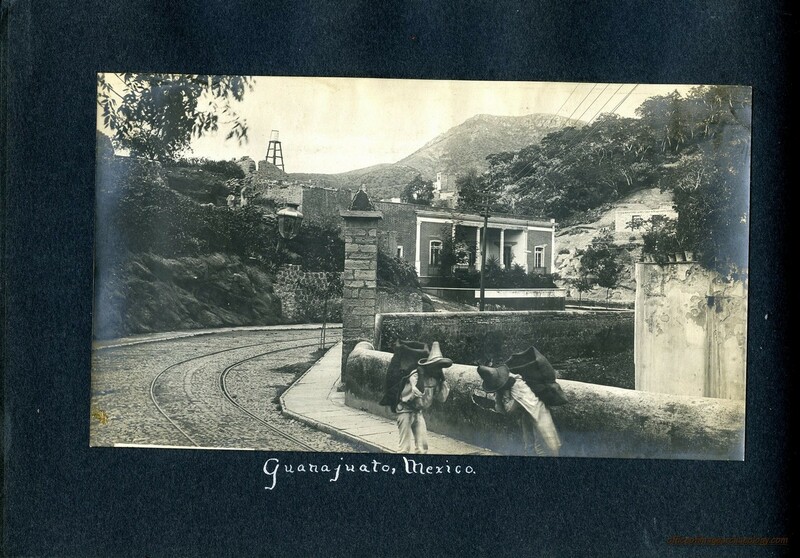 THE COLUMBIA IS USED TO TRANSPORT BOTH FAMILY MEMBERS AND THE REMAINS OF MEXICAN AMBASSADOR MANUEL AZPIROZ TO VERA CRUZ AFTER HIS DEATH IN 1905. 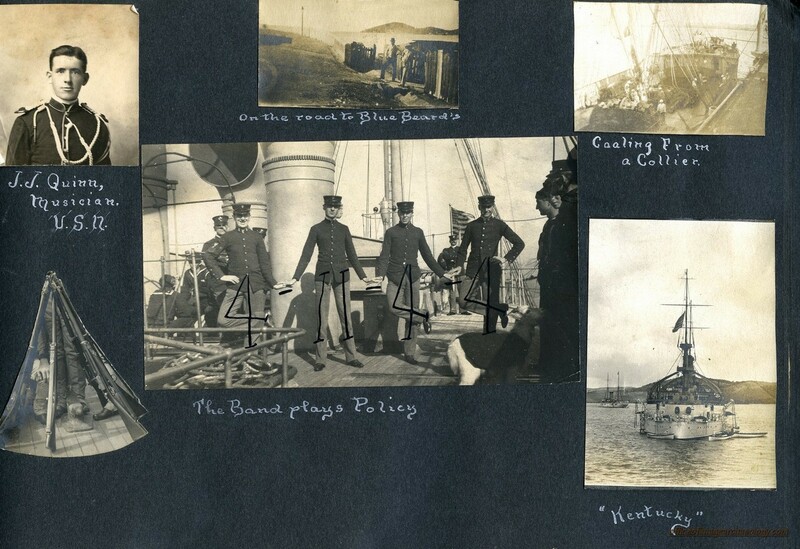 IMAGES SHOW HIS REMAINS BEING TRANSPORTED AND FAMILY MEMBERS ON BOARD SHIP AS WELL AS DURING THE FUNERAL. 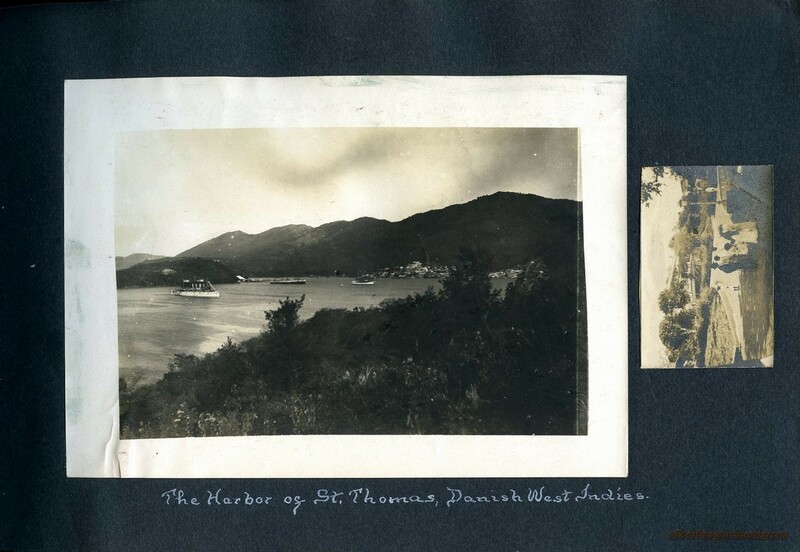 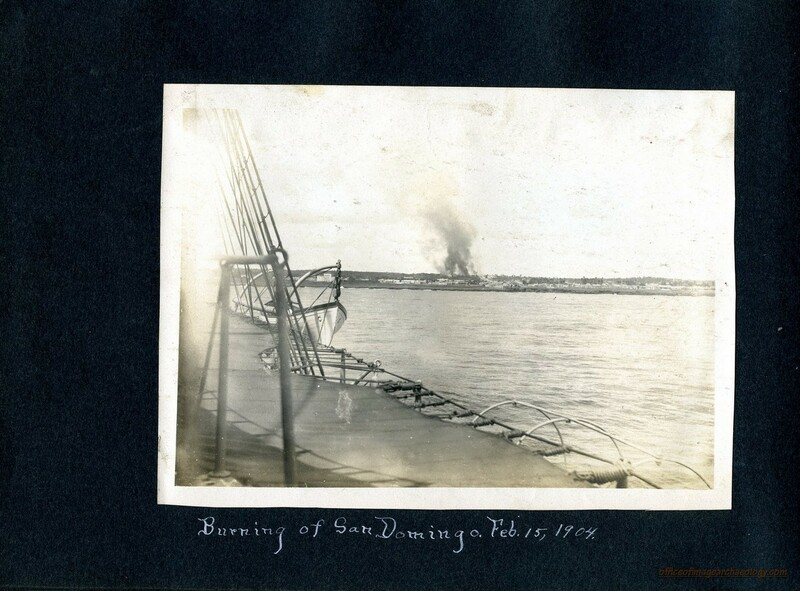 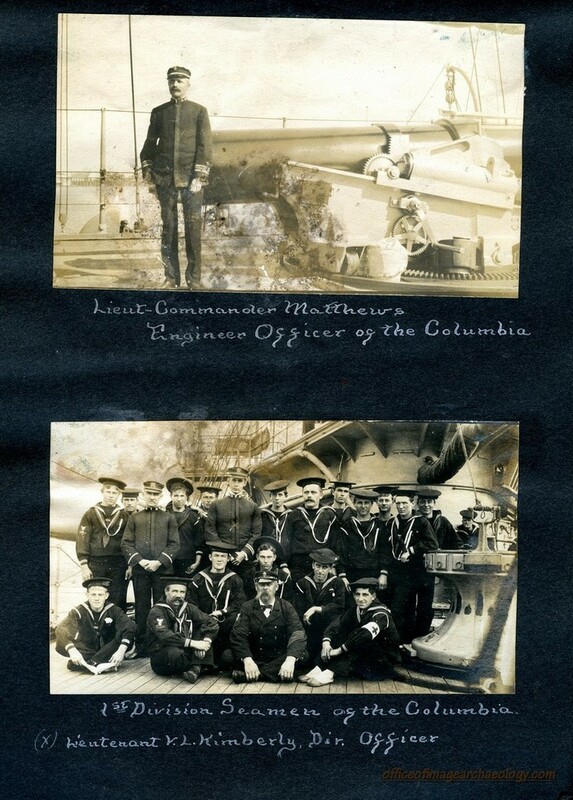 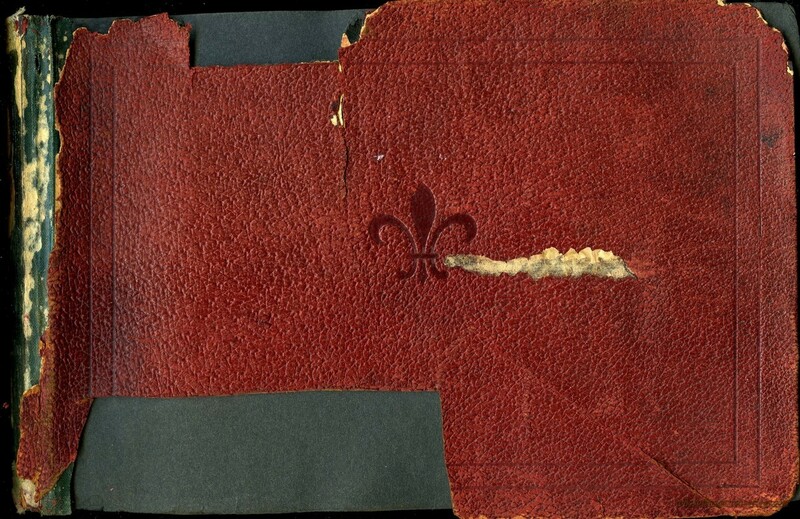 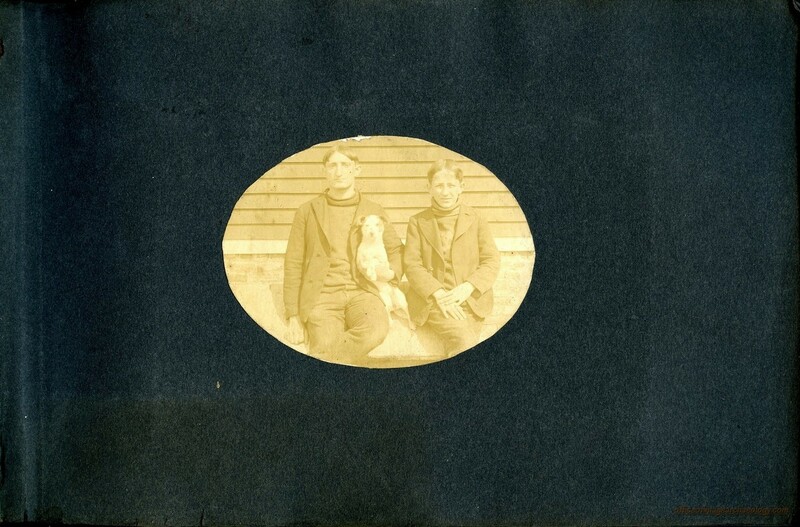 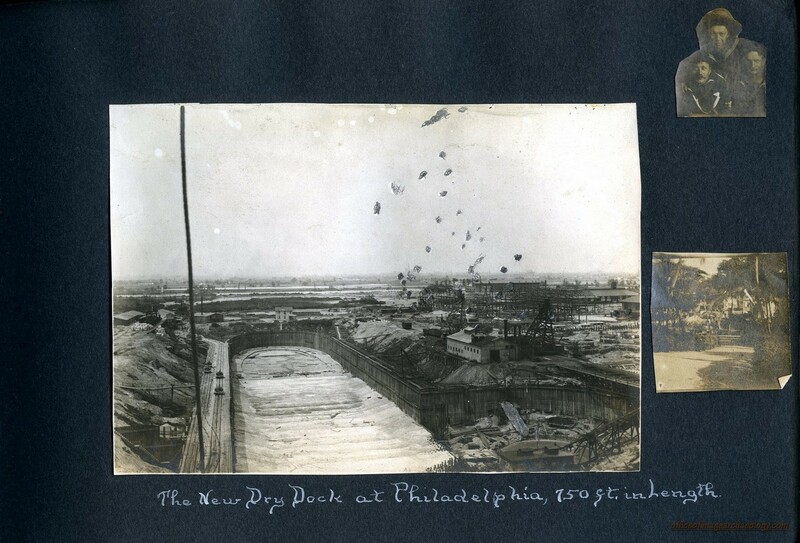 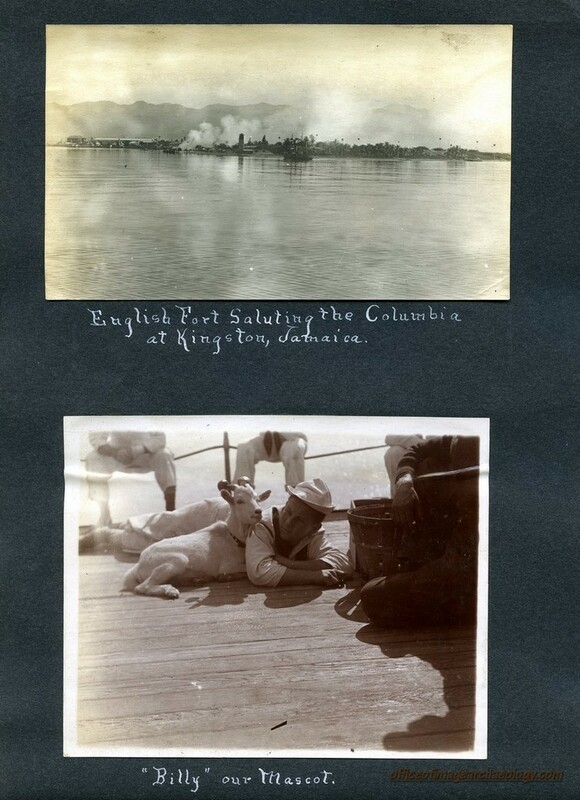 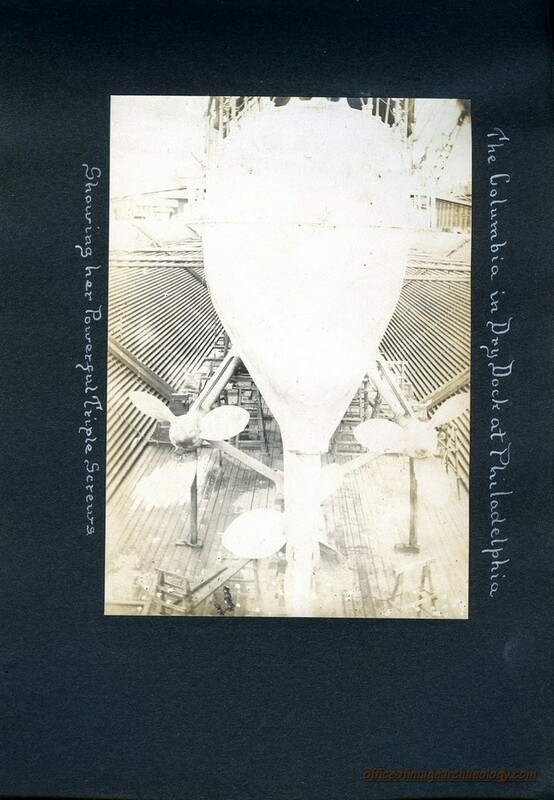 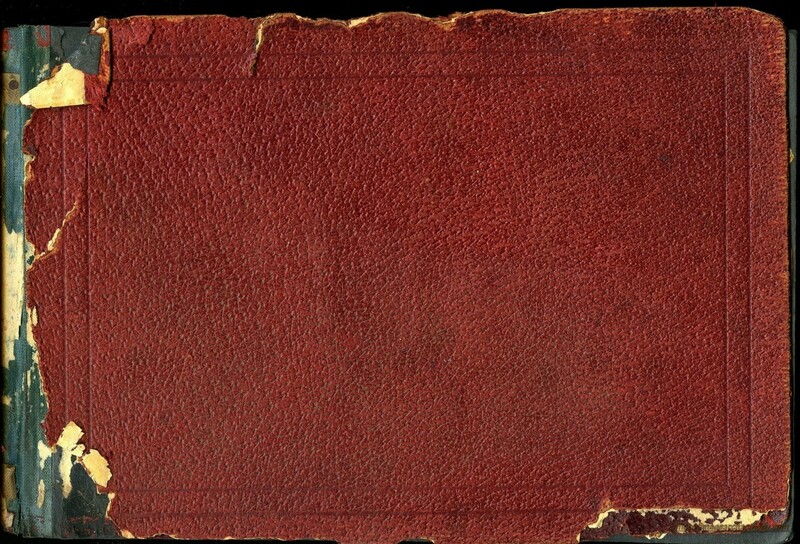 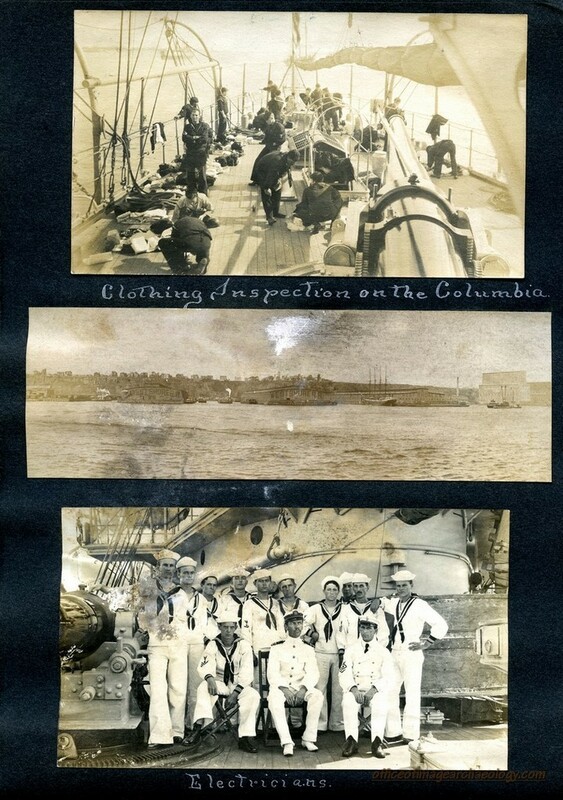 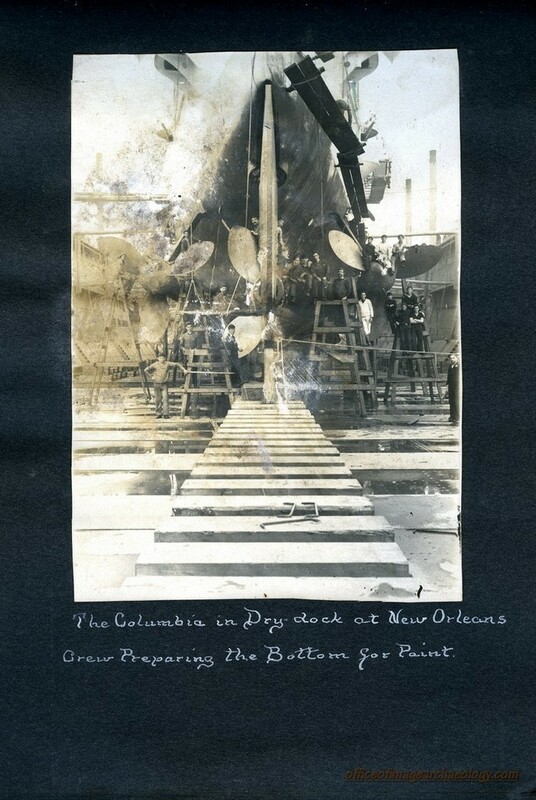 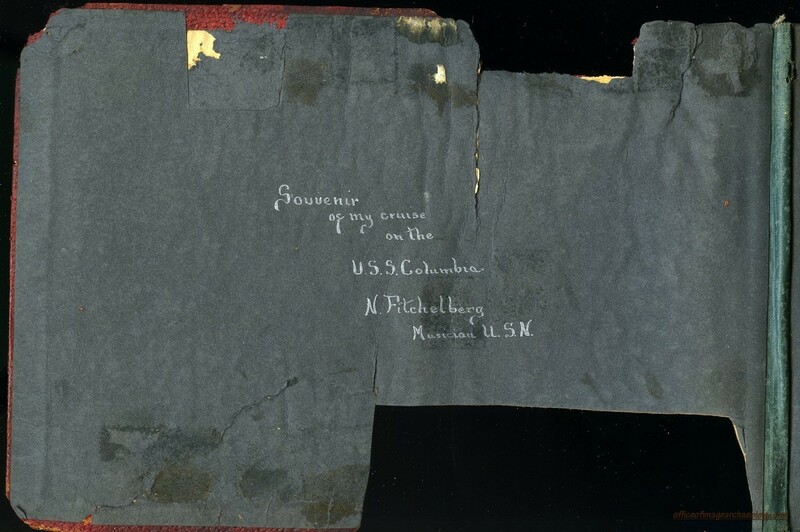 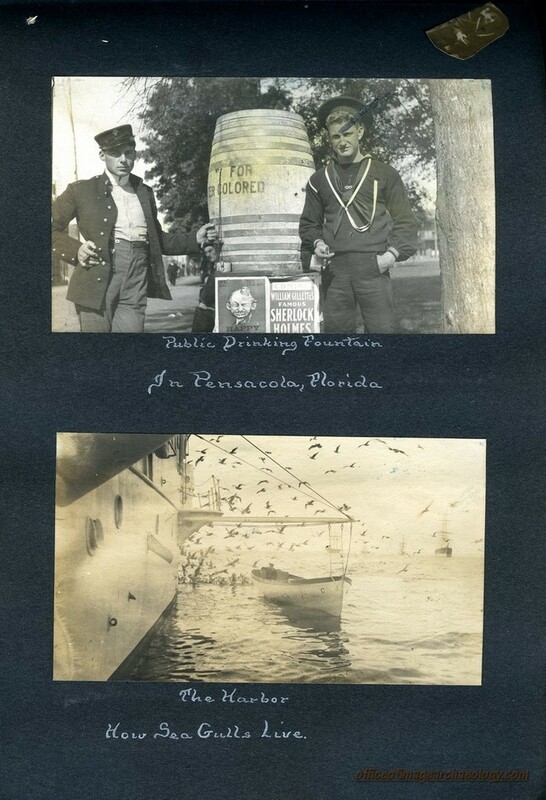 THE PHOTOS ALSO DOCUMENT AN INCIDENT WHERE THE COLUMBIA WAS USED TO SINK THE ABANDON SCHOONER EDWARD L. ALLEN. 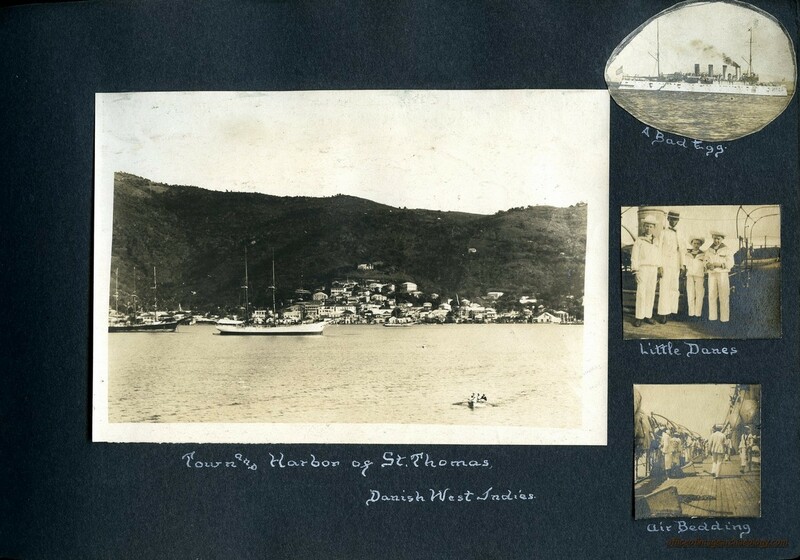 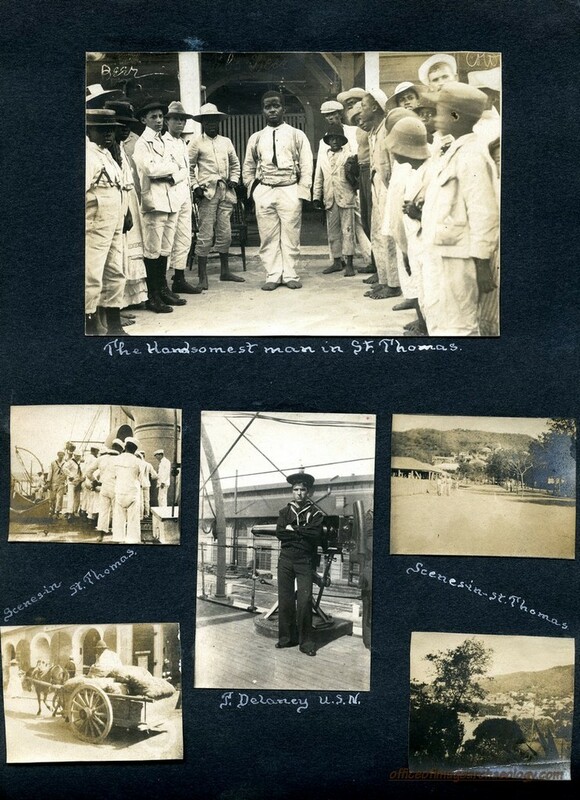 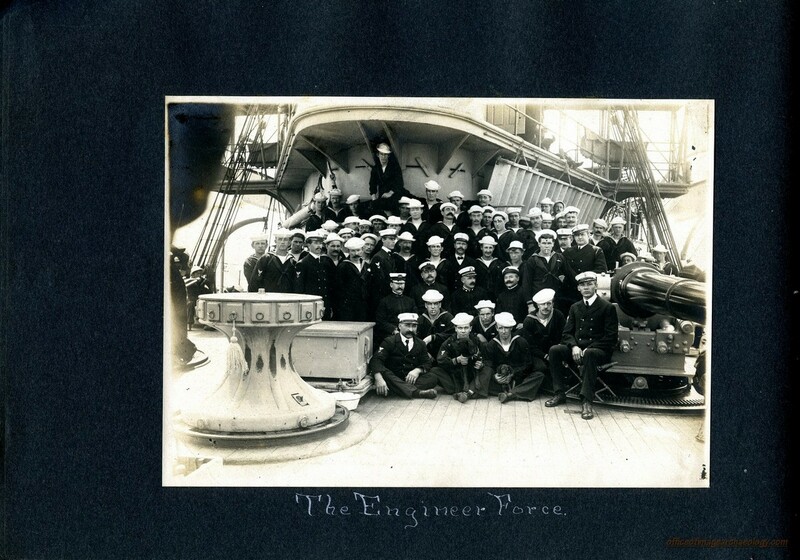 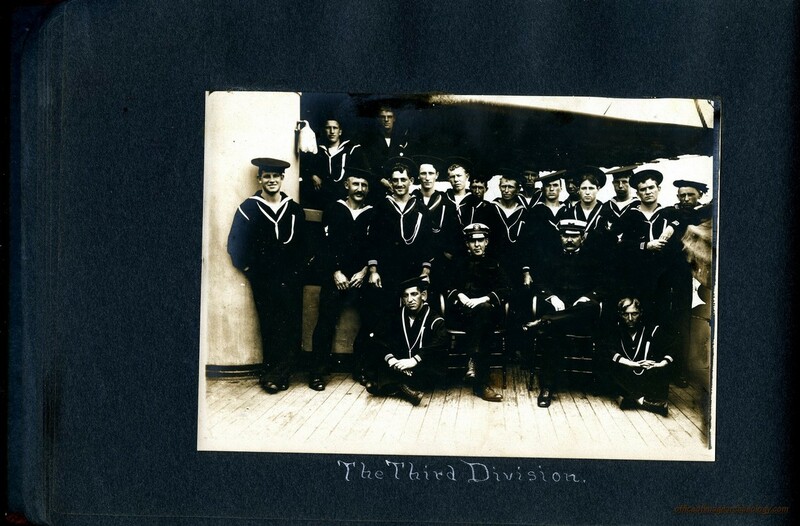 THERE ARE MANY NAMES OF CREW MEMBERS AS WELL AS PHOTOGRAPHS OF 20 DIFFERENT SHIPS FORM 3 COUNTRIES AS WELL AS A COUPLE OF CIVILIAN VESSELS AND ALL ARE IDENTIFIED WITH SOME HAVING MULTIPLE VIEWS.